In today's post, we're going to give you some important information about why you shouldn't feed your cat fruits and vegetables. Read on to learn some important things about its diet and health! Fruits and vegetables are great for people, but not so much for cats. 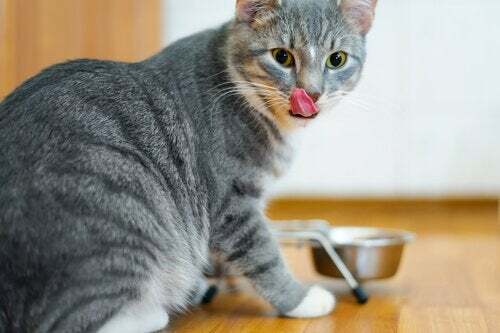 Giving your cat the proper food is just one of the many ways you can show your furry friend the infinite love you have for it and your concern for its health. Keep reading to see why you shouldn’t feed your cat fruits and vegetables, and what foods it should be eating. 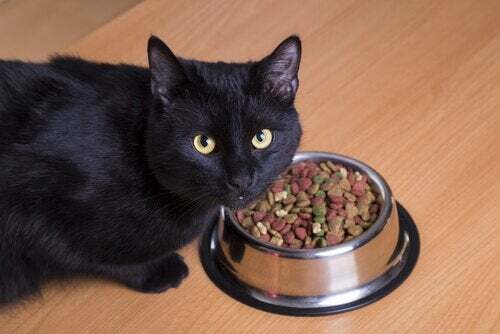 To give your cat the proper diet, you have to understand its behavior. You don’t want to make the mistake of giving it foods that could have completely the opposite effect to what you expected. 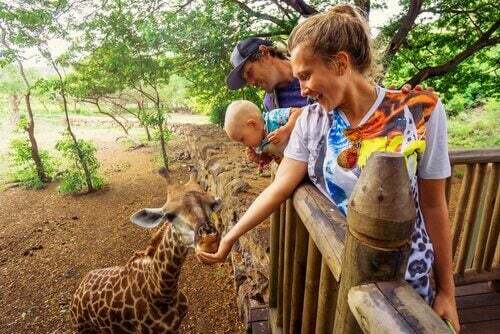 In the wild, cats are strict carnivores. Most of the high-quality, balanced cat foods you’ll find in the stores nowadays have been produced with this in mind. On the other hand, feeding your cat too many fruits or vegetables could cause an excess of vitamins and minerals. The most dangerous of them all is the onion. Onions, leeks, and chives all have a chemical called thiosulphate in them. If your cat eats any of those vegetables then the chemical can start destroying its red blood cells, a condition called hemolytic anemia. If you spot any of these symptoms after your cat has eaten garlic, or any of those other vegetables, then take it straight to the vet. The longer you wait, the harder it will be for the vet to treat the problem. 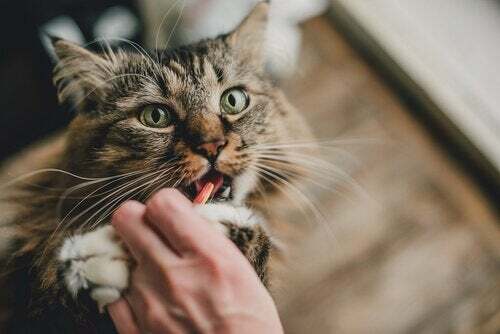 Fruits and vegetables make a great treat when your cat behaves well, but you can’t let them have too many. There are lots of cats that love fruits and vegetables, but it shouldn’t make up for any more than 10-15% of its daily food intake. Their bodies don’t need it as much as things like taurine, an amino acid found in animal proteins, which is good for their eyesight. The best fruits for your cats are apples, pears, melons, peaches, strawberries, and watermelon. Of course, it’s always best to get them in season if you can. But watch out: the seeds from certain fruits, including apples and plums, have a high cyanide content. This chemical can cause seizures and nervous system problems for a cat. You should generally cook vegetables before you give them to your cat so it can digest them more easily. Here are some of the best: peas, asparagus, lettuce, squash, green beans, carrots, and cucumber. Like we said before, garlic and all the vegetables in the onion family are extremely dangerous for your cat. Unfortunately, so is tomato. It has a very high level of acidity, which can give your cat stomach problems. Because of their high starch content, potatoes are hard for cats to digest. So, it’s best to stay away from these altogether, otherwise they’ll give your cat stomach problems. You’ll have to save avocados for yourself, too. They contain a chemical called persin that can be toxic for cats. It can cause vomiting, diarrhea, and even be fatal in some cases. It’s best to keep your cat away from chocolate. It contains a chemical called theobromine, which is toxic for both dogs and cats. The chemical tends to cause serious problems with a cat’s digestive system, muscles, nervous system, and heart. Alcohol is bad too, because it can cause a drop in blood sugar, blood pressure, and body temperature. Raw eggs contain an enzyme called avidin, and if your cat eats too much of this it can start to have low biotin levels. A biotin deficiency can lead to issues with its skin and fur. Lastly, feeding your cat too much raw fish can also be a problem. It’s best to cook it beforehand so that you get rid of the thiamine that’s very common in fish. 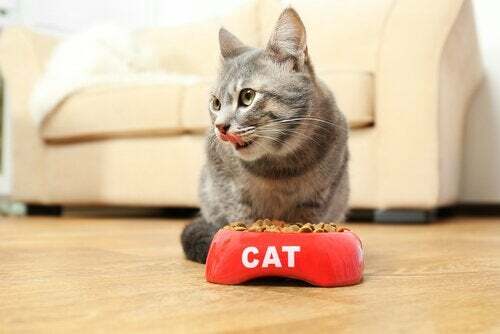 Also known as vitamin B1, too much of this substance can cause a loss of appetite, seizures, and even death for your cat. Can Contraceptive Pills Affect Your Cat’s Health?